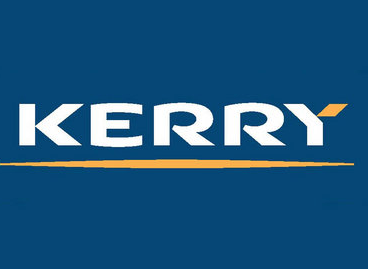 Kerry Group today announced interim sales growth of 3.3%, despite difficult trading conditions. It described its performance in the first quarter of 2014 as ‘satisfactory’, despite challenging conditions in many markets and the inflationary of adverse currency movements in developing markets. It said it had a sluggish start to the year, but its ingredients and flavours sector performed well. It also said it expects to achieve 6-10% growth in adjusted earnings per share, to a range of 273-284c per share in 2014, as previously outlined by the Group. Kerry said the consumer food market in the UK and Ireland remains highly competitive, as increased market fragmentation continues as companies respond to consumer trends. Sales, it says, through discounter channels and private label offerings continued to grow, but Kerry Food’s priority brands maintained brand shares in the UK and achieved what it described as ‘encouraging category growth’ in the Irish marketplace. Its net debt of €1.2 billion, it said, is in line with expectations and reflects the impact of capital expenditure and investment in working capital in the quarter. The Group is currently reviewing its businesses which are underperforming, it said, and restructuring of the direct-to-store services to the independent and convenience retails sectors in the UK and Ireland is underway.